I've had my Canon 400d for about six months now (2008). I've always enjoyed photography and had various cameras in the past, but this is my first DSLR. I wouldn’t call myself a professional photographer because I don’t make any money from my pictures, but I am a very enthusiastic amateur. I am going to explain what I like and don't like about the Canon 400D EOS digital camera so hopefully you can make an informed decision if you are thinking of buying one. The first thing I would like to say is that they are great value for money, especially now that newer models are available. I bought mine on ebay for less than £300. They are a good entry level camera for an amateur photographer, but could also perform well in the hands of a professional as well because they're highly customisable. The quality of the pictures is very good and I have noticed that it matches the colours well between the subject and the image it records. 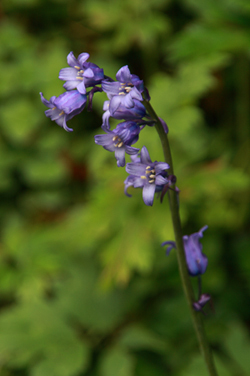 I have a picture of Bluebells and the colours of the picture perfectly match the actual flower. The camera has all the functions that you would expect on any DSLR including: Landscape, Portrait, Macro, etc. I don’t use these much because I prefer to choose my own settings in the aperture, shutter or manual priority modes. 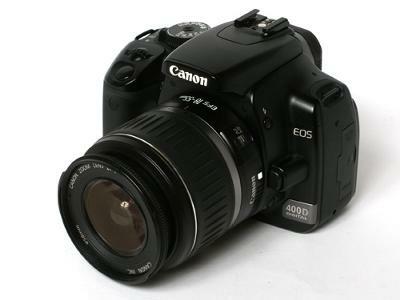 The Canon 400d DSLR has a 10.1-megapixel CMOS sensor and a 2.5inch LCD screen. The main disadvantage with this camera is that it doesn’t include a live view function. Even the most basic digital cameras have live view. Live view shows the picture you are about to take on the LCD screen. With the 400d, you have to look through the view finder to compose your shot. I would also have preferred a bigger LCD screen. Apart from those two issues the Canon 400d is a great camera. This camera has many advantages and one I find really beneficial is the long battery life. I can take over 800+ high quality pictures without having to re-charge. I also like the self-cleaning sensor which shakes off dust particles. I change the lenses quite a bit and dust always finds its way into the camera. This feature keeps the sensor clean and stops you getting little specks on your pictures. All-in-all a great entry level DSLR. I fully recommend it.